Sunny Deol Starrer Mohalla Assi leaked Online! 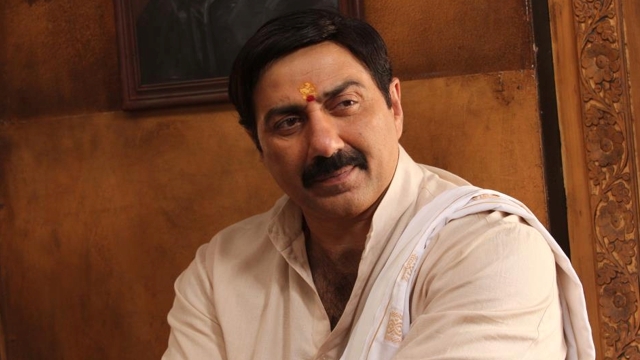 Sunny Deol Starrer Mohalla Assi leaked Online! Home > sunny deol > Sunny Deol Starrer Mohalla Assi leaked Online! Earlier we reported that Manjhi - The Mountain Man was leaked over internet before release, and now it's Mohalla Assi! Sunny Deol starrer film Mohalla Assi was leaked over internet 3 days ago. The leaked footage also includes a Censor certificate attached to it. It is well known that trailer of Mohalla Assi was also leaked and uploaded to YouTube and the trailer had a lot of slang words and for that Delhi High Court has issued a stay order on its release. The makers were hoping that the court won't extend the stay order beyond August 25 and they will announce the release date soon, but it got already leaked over internet. The makers of film have now registered a case with the cyber crime cell to find out the source of the leak. Vinay Tiwari, producer of the film, says, "It seems someone from Varanasi had the entire movie stored in his pen drive. As soon as we realised it has been leaked on some websites, we requested them to remove it. We have filed a case with the cops here in Oshiwara and Varanasi against the unknown culprit."